The Grades students had a busy week at school. The Lower grades are up to 80, worked on writing the one’s times table and will work through the two’s and three’s times tables this week. The Upper grades continued working with the four processes and also reviewed and learning more about fractions during our main lesson time. On Thursday, all grades students are joining Ki Jas and Don Andres downstairs to make items to sell at our Springtide festival and in the school store. The children are working in groups to plan and create products, signage and crafts. In Handwork, the children are working on both knitting and crocheting depending on their grades. In the Garden, they are readying beds both outside the church and in the garden itself for spring planting. We also enjoyed several outings into the forest to study and play during the day and while there we tested the creek water with Ki Sonya, built a bridge and played many games during Spanish with Don Andres, made twig frames with Ki Kathee, learned about the wind with Ki Melissa and enjoyed some fun at the creek in the warm sun! Please remember appropriate weather clothes and rain gear for the week! This week the grades students learned more about snakes and their color patterns. 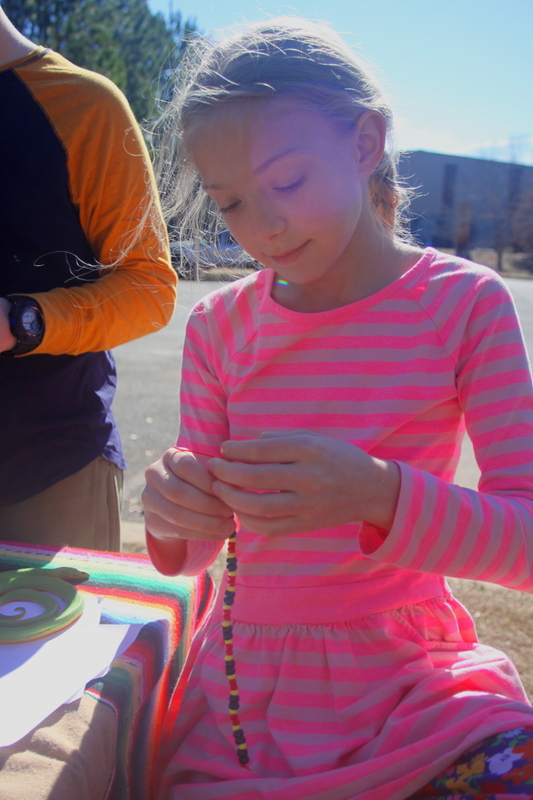 We made snake bracelets with beads, representing the coral snake, the scarlet king snake, and the milk snake. We prepared a garden bed for planting onions. We felt different animal coats and talked about how they help an animal stay warm in winter. 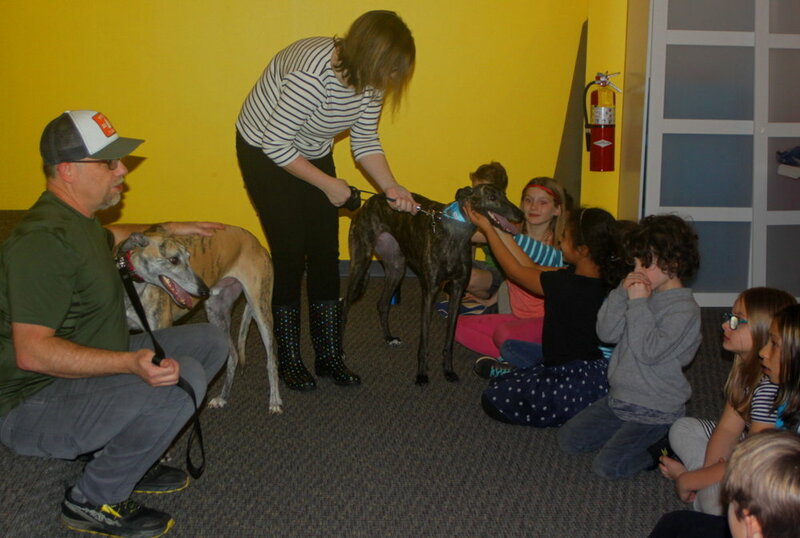 During the Wednesday Creature Feature program, Ki Kim and Ki Tim shared their two greyhounds, Riley and Max, and taught us about the greyhound rescue program in Georgia, Alabama, and Florida.